Adventures in Wellington: The boat!! The boat!! 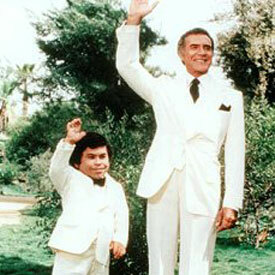 YES I was a big fan of "Fantasy Island', and NO, this is not Darren writing the post. Just got the call from Allied - the container is here, and through Customs Clearance. Our belongings are due to be delivered on Wednesday next week! =) Can you hear me "squee"ing with glee from there?